This wonderful organic mushroom soup could be served simply as a soup, or added to a risotto or another favourite recipe for added flavour and goodness. As well as organic mushrooms, it contains organic onions, leeks and celery and organic Arborio rice to create a really wholesome, tasty vegetarian soup. 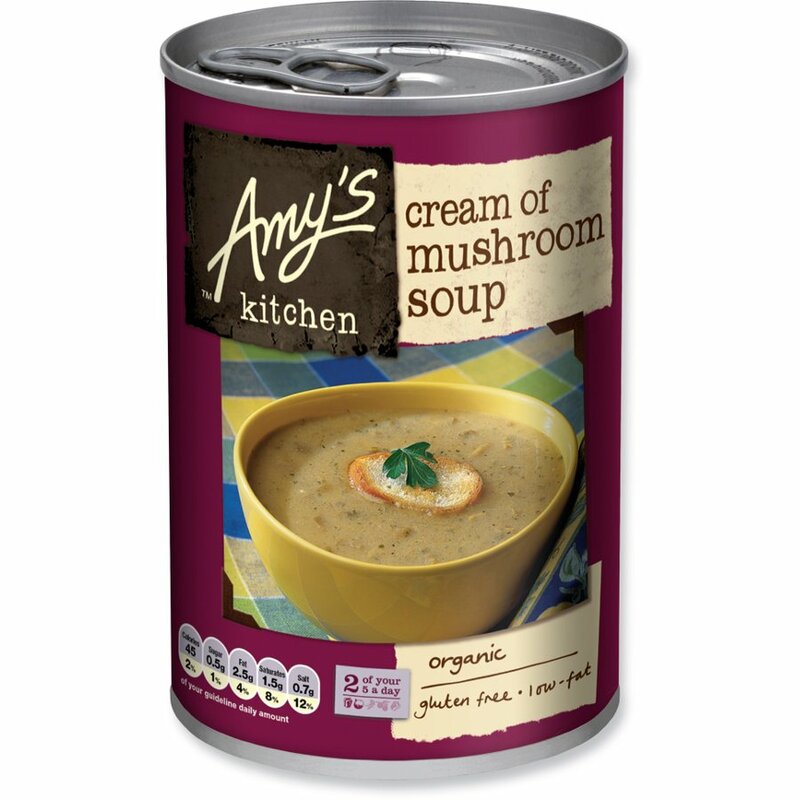 The Amy's Kitchen Cream of Mushroom Soup - 400g product ethics are indicated below. To learn more about these product ethics and to see related products, follow the links below. Many products that I buy are for the benefit of my (vegetarian) partner and she has no complaints. 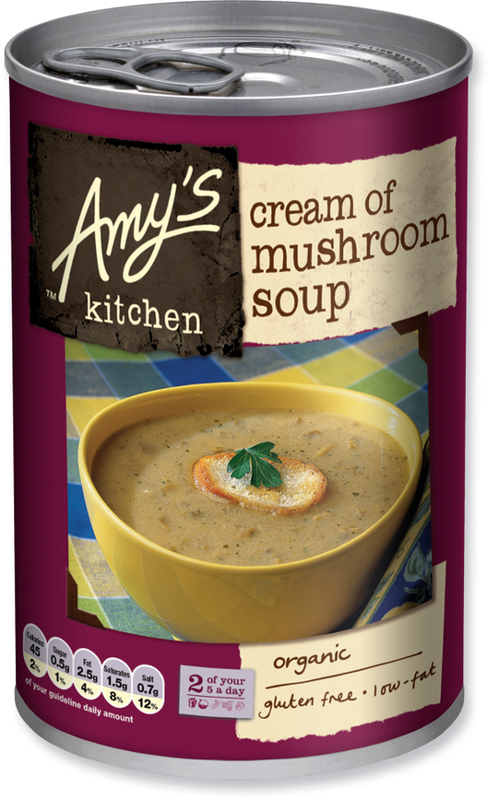 There are currently no questions to display about Amy's Kitchen Cream of Mushroom Soup - 400g.